A construction contract agreement is a document that sets a date and specifies which parties are going to participate in the construction process. Usually, the contract agreement is executed between the owner of the project and the contractor or supplier that is providing the requested services and contains several sections of clauses defining the scope, terms, and conditions of such agreement. Project description: This section of the contract agreement contains a blurb or extract of what the project is about. The most important idea or description of the problem being addressed. It can be a summary of items or just a paragraph defining what needs to be solved. Contract price: This area will describe the type of contract price been awarded and the total amount of money being contracted. It will also set possible additions or deductions to the contract and how they are going to be released. There are many variations and different schemes on how to negotiate the right pricing structure. Payment basis: How the money is going to be paid to the contractor. Either on a monthly basis or whatever payment method is preferred, it should also specify what percentage of money should be retained on every application for payment. It will also define when the payment is due, the penalty for late payments, interest being accrued and other applicable situations related to the payment and invoicing terms. Construction schedule or calendar: The total of days or how the project schedule will be divided. It should describe either calendar days or business days and can be presented either through a CPM, Gantt Chart, or just a bar chart. Contract document list: A list of all contract documents that form part of the contract agreement. Drawings, exhibits, specs and supplemental conditions can be part of this list. Construction scope: Description of all construction activities including some descriptions of things that will form part of the project. The scope normally can be measured or quantifiable. 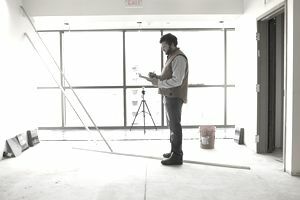 Construction conditions and responsibilities: The section of conditions and responsibilities is the one that sets responsibilities for the owner and the contractor, and the extents of who is responsible for providing documents and information. It contains specific terms for liens, penalties, withholding, arbitration rules, and specific instructions on how to process claims and proceed with disputes. Contract laws: Governing laws, liens requirements, claims procedures, arbitration procedures, insurance, substantial completion requirements, final completion, and liquidated damages. It can also provide procedures on how to terminate or suspend the work and the agreement with the contractor. Why Is a Contract Agreement Important? A contract agreement is a really important document that will define your scope of work and that will bind the owner to your services, including the payment terms. It is really important that you understand the scope of work specified in the contract agreement, complete the work as scheduled, and invoice per instructed to do so, and finally it will be the tool used so you can get paid. Contain a description of the product or service being offered. Be understood and clear between both parties. Include services being contracted clearly. Include cancellation or termination policy. Express: This type of agreement defines very well the purpose and scope of the agreement. Under this alternative, the stipulations and terms of the contract are understood clearly by each part. Executed: An executed contract agreement provides a warranty period or malfunction. Under this agreement, services have been rendered, but the contract protects one party when the other's performance fails to provide the proper warranty for defective or incorrect installation. Conditional: A conditional contract agreement is an agreement used when services could not be provided at the time the contract was signed. It stipulates a future date when services will be rendered if certain conditions are met.